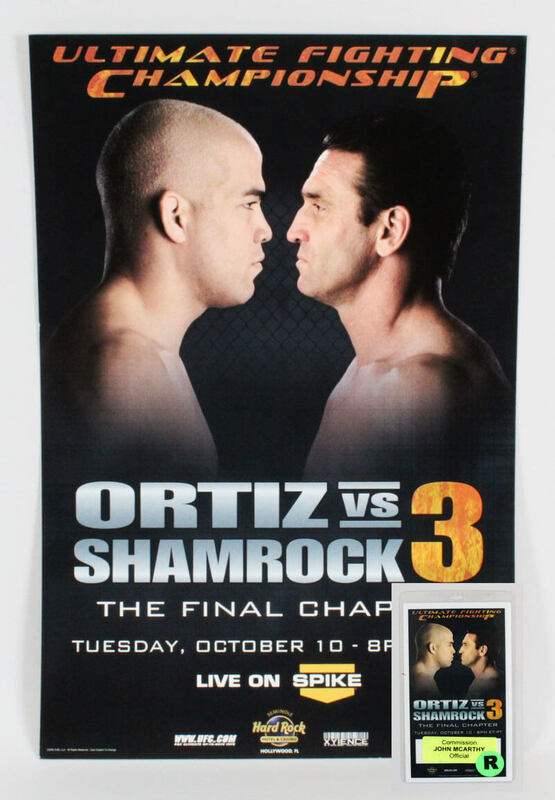 UFC: Ortiz vs. Shamrock 3: The Final Chapter was a MMA event held by the UFC on October 10, 2006. The event took place at the Seminole Hard Rock Hotel and Casino in Hollywood, Florida. 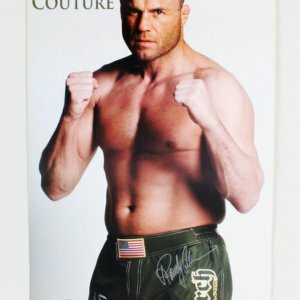 The main event featured the third and final encounter between Tito Ortiz and Ken Shamrock. Ortiz was victorious via TKO in the first round. At UFC 61, the two fighters met for a second time, with Ortiz reigning victorious via technical knockout. Presented is an original poster from the match-up. 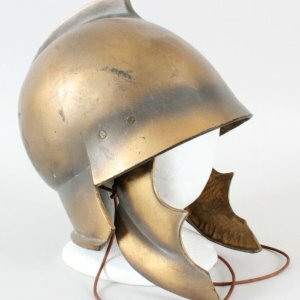 This item originates from referee Big John McCarthy’s personal collection. The poster measures in at 24×36 and was affixed to a cardboard backing. For additional consideration, McCarthy included his Official Commission credential for the event.